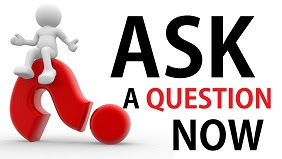 One of the most common causes for deaths in the United States is diabetes. On an average, around 18 million Americans suffer from it. Diabetes occurs when the body fails to produce or use insulin, which converts sugar, starches and other food items into energy. Diabetes is basically divided into two types: Type 1 diabetes and Type 2 diabetes. 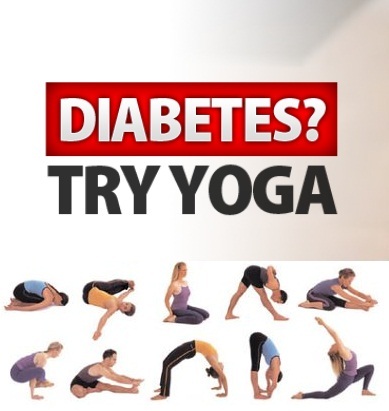 Type 1 diabetes is caused due to the non-production of insulin and cannot be cured by yoga. Here the patient needs to use insulin shots or insulin pumps. On the other hand, Diabetes 2, which is caused by improper life style or stress-related ailments, can be effectively treated by yoga, if not cured fully. This is the most common form of diabetes and can be developed by anyone. Yoga not only complements the lifestyle changes which are required to keep the diabetic symptoms under control, but also helps a lot in creating a life that is full of happiness and vitality. Yoga exercises reduce the harmful effects of stress-related ailments. The most important yoga exercise for the people suffering from diabetes is sun salutation. What it tends to do is that it increases your blood supply to various parts of the body and hence improves the insulin administration in the body. This exercise is so effective that the benefits can be experienced instantly if four rounds are done within a minute. If practiced slowly, it gives the benefits of asanas. After sun salutation, asanas proves as the most beneficial in the treatment for diabetes. Asanas gives stability and comfort to the body. Due to the various twisting and stretching experienced during the asanas, the internal organs of the body are stretched and subjected to strain. This results in the increase of blood supply and oxygen supply to the organs, thereby increasing its efficiency and functioning. The various asanas which prove beneficial for a diabetes patient are Dhanurasana, Ardhamatsyendrasana, Vajrasana Yoga Mudra, Pavan Muktasana, Sarvangasana, Halasana and Matsyasana. After asanas, comes the pranayamas. Pranayamas has a calming effect on mind, brain and nervous system, which reduces the stress levels and thus helps in the treatment of diabetes. Pranayamas also increase the oxygen levels and reduces carbon dioxide levels in the blood. However, an important thing which has to be remembered while practicing the pranayamas is that it should be practiced under the expert guidance of a Yoga Guru. Practice of meditation is also required for diabetic treatment as it helps in stress management. Meditation not only creates a calming effect on the nervous system, but also brings a perfect balance between the sympathetic and parasympathetic nervous systems. Concentration on pancreas during the meditation shows positive effects on sugar levels, which is very vital for diabetes treatment. Apart from all these yoga exercises, one can also do yoga nidra and the cleansing processes like shanka prakshalana.